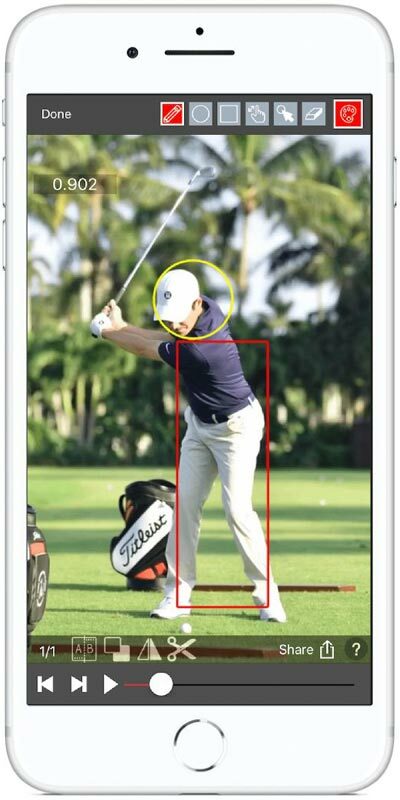 Receiving bespoke swing analysis on your personal device has definitely become a thing in recent years, but did you know the first mobile instruction app to reach one million downloads was the V1 Golf App, launched in 2009? We didn’t either. V1 Sports was founded in Novi, MI (30 miles northwest of Detroit) in 1995 and provided video swing analysis, developed in partnership with Jack Nicklaus, called the ‘Jack Nicklaus Coaching Studio’. This begot V1 Professional software which delivered the first ever online video lesson. That software is called V1 Pro HD these days and the mobile app, which just saw a significant upgrade with the launch of the V1 Golf 2.3 app, is known as V1 Pro. The new system enables V1’s network of 8,000 PGA professionals (including Butch Harmon, David Leadbetter, Mike Bender, Martin Hall, Mike Schy, Todd Anderson, Randy Smith, Dave Pelz, Dr. Jim Suttie, Dave Phillips, and Scott Hamilton) to capture students’ swings and provide voice-over video lessons. To date, well over 3.5m lessons have been given using the app, including 30,000 last month according to Bryan Finnerty, CEO of V1 Sports. The updated version features new screen layouts supporting the iPhone X/XR/XS super retina display, upgraded analyzer tools, video filters, improved modes when comparing two different swings, enhanced video analysis, and downloads from the cloud. There’s a lot more besides, including access to one of the largest tour swing libraries available online. TRUE Linkswear introduced its first knit shoe last summer, and it quickly became the ten-year-old company’s best-seller. Adhering to its philosophy of enjoying the walk, the Knit was a ridiculously comfortable shoe that featured a water-repelling tri-blend knit upper, and a Cross-life gum rubber tread that provided plenty of grip. Unlike TRUE’s first models whose soles were completely flat and designed with no heel-lift, the Knit’s heel was raised 4-6mm to form what was called a ‘transitional drop’. 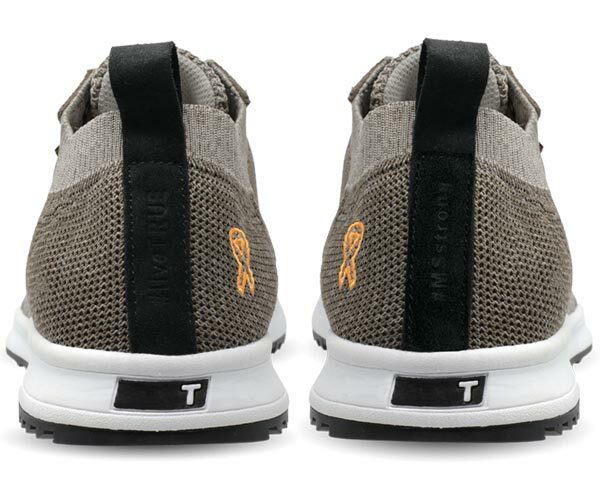 The result of the partnership is the TRUE Linkswear #MSstrong Knit which is the same shoe as the original but available only in ‘warm grey’ with the MS Society’s orange ribbon embroidered in the back. For each pair sold, TRUE will donate $30 to the MS Society, and if you pre-order today (3/20/19) TRUE Advisory Board Member Ryan Moore will match all donations.